Legal Child Custody is presumed to be shared by both parents unless a judge finds that a shared arrangement is not in the best interests of a child or that the parents do not have a history of cooperation in matters concerning a child. Generally, shared decisions include matters involving a child's education, including private school and college, religion and medical needs. 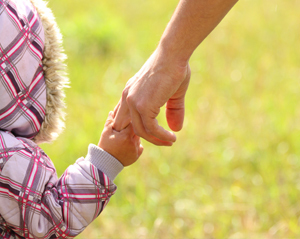 Physical Child Custody is usually with one of the parents with whom a child principally resides. If there is an agreement and demonstrated cooperation between parents, it is possible to have a shared physical arrangement. The parent with whom a child principally resides is oftentimes identified as the "custodial parent". Parenting Time/Visitation is the time the non-custodial parent spends with a child/children. High Conflict Cases and Parental Alienation Syndrome: This is the unfortunate situation where one parent uses a child or children to advance his or her own divorce agenda, or cause damage to the other parent's bond with the child. This behavior can include the misuse of the legal process (ie bogus restraining orders) and cause psychological damage to the developing child. It is imperative for an attorney to immediately recognize this behavior and take action to minimize the negative impact. Petitions to Remove the Child from Massachusetts: At the time of divorce or years later, a parent may want to move to another state or country. Sometimes it is for financial or emotional reasons, such as a parent who wants to back to a hometown to be closer to friends and family. Other situations include a remarriage or job advancement that requires relocation to another state or country. If there is no written agreement between the parents, a court order must be obtained to allow a child to move with a parent out of Massachusetts. A judicial decision is based on a complex analysis that oftentimes involves the appointment of an investigator, such as a guardian ad litem (or GAL). schedule your initial consultation online or by calling toll free 617-723-9900.